Recipient of the 2012 Saint Mary’s University Student Association Award for Overall Excellence in the Field of Education, Dr. Rohini Bannerjee is an Associate Professor in the Department of Modern Languages & Classics and is a Faculty member of both the Asian Studies and Women and Gender Studies programs at Saint Mary’s University. 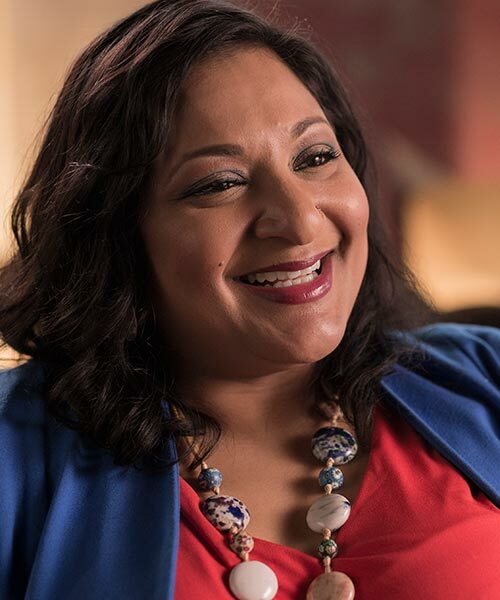 Born and raised in Dartmouth, NS, Rohini holds a Bachelor of Science in Biology and French and a Masters Degree in French Literature from Dalhousie University and in 2006 earned her Doctorate in French Studies from Western University. Before joining Saint Mary’s in 2006, Rohini taught French at both the elementary and high school level, at Fanshawe College and at Western University in London, ON. Her primary area of research is in Francophone Literatures and Cultures of the Indian Ocean. One of Rohini’s current interdisciplinary projects is titled Haligonian Histories: South-Asian Immigrant Women making Halifax home.